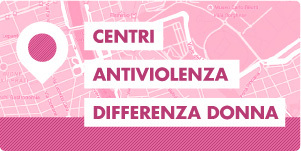 The Differenza Donna Centres Against Domestic Violence are the main instruments through which the association Differenza Donna prevents and combats gender-based violence. By ‘combating’ we mean a whole host of activities that overall aim at leading women who have experienced gender-based violence to rediscover their identities, their values and competences, so as to find once again the will to build a new life. In our centres, women from any country, culture and religion receive support and, if necessary, shelter. Our capital is the motivation, the expertise and the experience of our professional workers. Our best investments are the projects of freedom we set up and make happen. Our centres are places of well-being, because they are comfortable; because every woman is listened to with competence and attention; because all our guests can enjoy a number of services; because children are attended to with care; because friendships are born here that can last a lifetime; because women can exchange experiences and get to know each others’ traditions, cultures and religion; because it is always possible to bake a cake together… And because we throw a party for every birthday! We do not envision our centres as places that provide aid, because we are convinced that all forms of aid do not solve problems, but leave them unchanged, ready to reappear as soon as the help ceases. We aim instead at empowering all supported or sheltered women, giving them back the control over their own lives – lives that become enriched by the special experience of conquering their own self-sufficiency, a necessary step to project themselves into a free and independently chosen future. Women who are free to choose, who have a strong identity, who are capable of critically analysing relationships and are aware of their own potential, are an asset for society as a whole. 1992: The Centre Against Domestic Violence of the Province of Rome, managed by Differenza Donna NGO, is set up. Since then, it has supported more than 600 women each year. The evidence and the efficiency of our positive management have made the Centre an example of excellent service at local, national and international level, and a point of reference for women who have experienced violence as well as for workers, professionals and politicians who are involved in combating gender-based violence. 2000: The Centre “Maree” (“Tides”) is set up and assigned to Differenza Donna. Since then, it has provided support and refuge to about 8000 women. 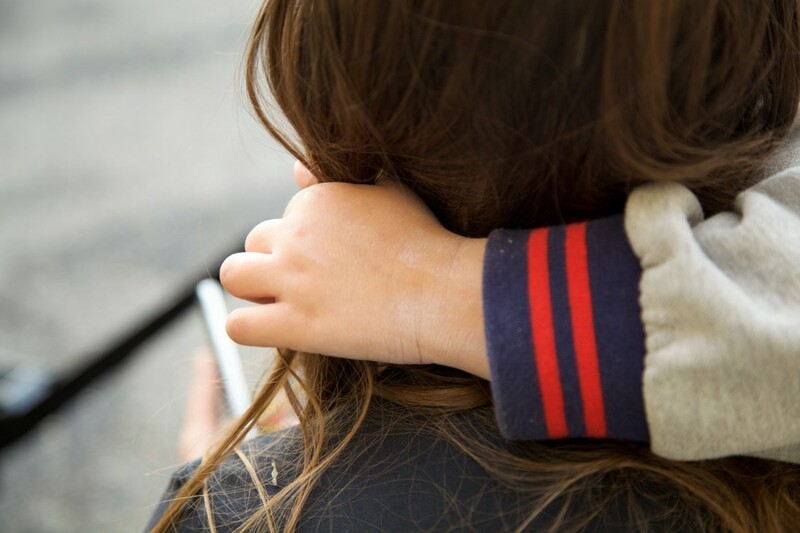 Differenza Donna has managed the centre with an eye to building a significant network of institutional and non-institutional stakeholders, in order to develop good practices and guidelines to facilitate and support women who are exiting violence, also when minor children are with them. 2004: The centre “Prendere il Volo” (“Taking off”) is set up, thanks to the funding of the Department for Equal Opportunities, Presidency of the Council of Ministers. It offers support services that are specifically targeted to women who have been victims of trafficking (according to article 18 D. Lgs n. 286/1998 and article 13 D. Legge n. 228/2003.). From 2016 on, the centre has kept supporting and giving shelter to women victims of trafficking as part of the “Lazio Anti-Trafficking Network” project, funded by the Department for Equal Opportunities. As of 2013, Differenza Donna is part of the National Anti-Trafficking Programme; it has participated as expert in the National Observatory on prostitution and associated crimes, which was established on 24th January 2007 within the Department of Public Safety, with the aim of researching how to better prevent and combat the phenomenon of human trafficking and sexual exploitation, improving and enhancing the provisions of aid and protection for the victims. Network actions with local institution, health services, police force, law courts, private associations. 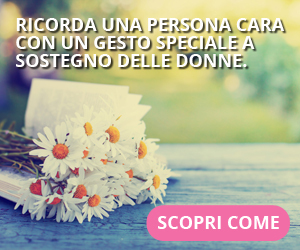 All services are provided free of charge by Differenza Donna qualified professionals, and guarantee full anonymity and privacy to all women using the service. 2014: Differenza Donna launches a helpdesk for disabled women experiencing multiple discriminations. Our helpdesk offers support to disabled women who experience or have experienced violence. When it comes to disabled women, a number of gender issues, among which gender-based violence, are still understudied due to cultural and social barriers as well as stereotypes and prejudices. Gender-based violence on disabled women has little social resonance, although these women’s very vulnerability is a factor of greater risk. A number of civilised countries have advanced proposals that deny disabled women their right to be mothers and, indirectly, their right to sexuality, such as forced sterilisation. Sobsey (1990) individuates 5 myths that help us better understand the victimisation of disabled women: 1) de-humanisation: disabled women are considered less “human” and inferior in comparison with able-bodied women; accordingly, gender-based violence against them receives less consideration. 2) the social perception of disabled women as “damaged good”; 3) the widespread perception that disabled women “do not feel pain” or pleasure; 4) the fact that in some cases, disabled women are experienced as a “social threat”; 5) the fact that, in other cases, they are experienced as “needy” and therefore as easy targets. Some recent European recommendations (Ocse – Closing the Gender gap, 2012; EuropeanDisability Forum, end Manifesto on the Rights of Women and Girls with Disabilities in the European Union, 2011) stress the need to include specific practices against gender-based violence on disabled women within policies that prevent and combat gender-based violence. 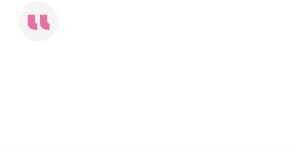 16% of the total female EU population are disabled. About 40 million women and girls are disabled, and gender-based violence is the first cause of death or invalidity for women between 15 and 44 years of age.